Against the textured backdrop of history the words “etiquette” and “manners” entwine. However, each carries its own connotation. 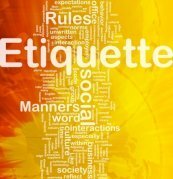 Etiquette is viewed as a limiting word, and even given negative importance in human sociality if it is defined and limited to the description of using behaviors to distinguish one’s social status in society. But "manners" has a gentler connotation. It offers the perception of kindness, and good deeds. Discussing etiquette and manners in terms of how very important choice and mindfulness are to human sociality is not an academic pursuit. Rather, it is a practical entry and exploration of finding personal self-command, and personal responsibility, in the business of life. Consideration of others comes first when we think about good manners. People decide on your value to them in several ways, one of which is how comfortable they feel interacting with you. If others feel good and enjoy when you are around, it’s no doubt because you have been respectful and courteous in words and actions. Or maybe they've seen you interacting positively with others and the positive impression you’ve made draws them to you. Some like to say that having good manners means that you are living the Golden Rule, treating others as you would want them to treat you. Acknowledge others with a greeting. Smile and make eye contact when speaking with you. Are punctual and show respect for someone's time. Practice forgiveness and avoid focus on the negative. Hold doors for others to pass through easily. Say "please" and "thank you." When you demonstrate good manners, you put people at ease because your behavior shows that you care about them. And it feels good to spend time with someone who cares. Have you ever entered a social situation and not known exactly what to do? It’s in these situations that you can feel vulnerable and less than your best. Etiquette is the “know how” of social situations. How to meet and greet people, how write a thank-you letter, how to dine with others - these are the rules and guidelines that give you the confidence to relax and enjoy the company of others. Etiquette also involves recognizing ethical behavior when dealing with people. It teaches what respect looks like. That is, knowing respectful behavior is important is one thing, but knowing what it is in a situation that will be deemed respectful is a matter of etiquette know-how. Having good manners is dependent upon knowledge of etiquette. Not only basic guidelines, but because etiquette varies from culture to culture, the more knowledge you have, the more sensitive you are about how it relates to others, thus you become more mannerly. It feels good to be helpful and make people comfortable and happy - and to be comfortable with yourself. This is what learning to be etiquette-ful is. When you strive to be etiquette-ful, you commit to embrace a high code of ethics. You apologize when you are wrong, and do it as punctually as possible. You make amends if need be and don’t make a fuss about doing it. Aiming to be etiquette-ful means that you recognize yourself as a learner, someone who is not perfect and who wants to be the best version of her/himself. No one can tell you how to be etiquette-ful, though you will want to know the etiquette that a situation calls for. You embrace the responsibility of discovery. When you find yourself in a situation that is unfamiliar, ask the question, “What is the etiquette I need to know for this situation that will enable my best manners?” This mindful question puts you into a state of keen observation. Never been to a dinner at your boss’ home? You've arrived and don't know what to do. Look around and observe what others are doing. Aiming to be mindful is a characteristic of the etiquette-ful person. 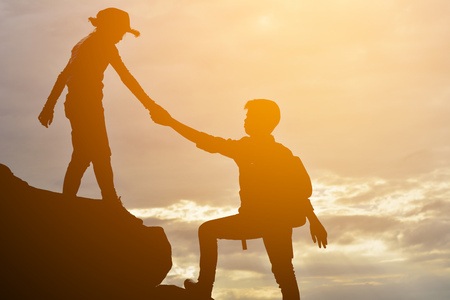 For instance, once you know how to shake hands appropriately, because you've learned and practiced it, you become mindful of the gestures of respectful greeting and heartfelt farewell. Being etiquette-ful is not a static state of mind. It means that you are aware of the blend of manners and etiquette and that you are on the lookout for new opportunities to make a positive impression. It also means you are open to the inspiration of creativity in trying to figure out the best actions for the situation at hand that aren't written in stone. Etiquette and manners join forces when your standards of being respectful, courteous, and considerate of others become a habit that requires little thought; when you care about the comfort of others in your presence, and you’ve put yourself in the flow of what’s appropriate for the situation.